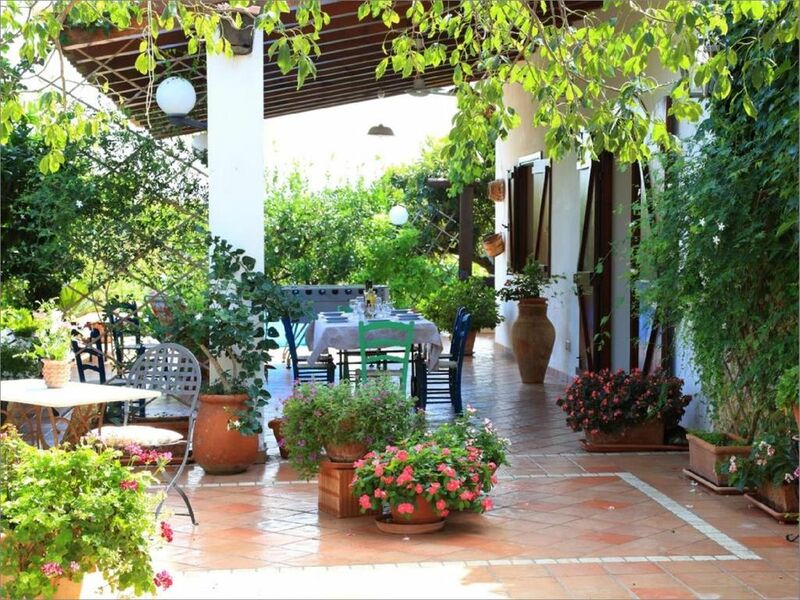 VILLA ZAHARA is a country charming villa for relax lovers, located in one of the best area in Sicily for the beautiful beaches and archaeological attractions. This groundfloor apartment (160 sqm) is composed by: 2 verandas, a big and bright fully-equipped kitchen (with wood-oven) and living area; 2 wide cool bedrooms, , a closet, a laundry, 1 bathroom with shower and bidet + a second external shower. There is another apartment above in the same property, but the entrance is separated and only parking and the big outer garden space are in common. The price includes: initial cleaning, water/electricity/gas, drinking water, internet access, parking, bed linens and towels, barbecue, table football, table tennis, dishes and kitchen utensils, iron and ironing board, bikes, games for children . More info on our Facebook page "VillaZaharaSicily"
Hi, I'm Giuseppe: I'm optimist and I love travelling and meet new people and their culture. I love Sicily and I would like to promote this gorgeous region: you could count on me as counselour for organizing your holiday. In the South of Italy the hospitality is sacrosant, so I and my family will host you with our best diligence: our motto is "Every guest is like the first one!". We rent own property with the philosphy of sharing its beauty hoping other people could live here little happiness moments... maybe the next one are you! ​This villa was built with love from my parents. Here I have a lot of beautiful memories with my family. Now, we rent it with the philosophy of sharing this beautiful property hoping other pepple could live here little happiness moments. We had a nice time in the house. Guiseppe is super helpful and the house is clean and beautiful. Thanks for your positive feedback. In Sicily the hospitality is sacrosant and for us it is also a pleasure. Sehr ruhiges und idyllisch gelegenes Ferienhaus, gepflegt und sauber. Großzügiger Wohnbereich und schöne Terrasse mit Tischtennis und Tischkicker. Thanks Martina for your review and thanks again for visting our Villa. ​​We hope you enjoyed your stay (as well as we enjoyed hosting you! ), since we rent the villa with the philosophy of sharing this beautiful property hoping other people could live here little happiness moments. Großzügiges Haus in einer Plantage mit allem wünschenswertem Komfort. Sehr ruhig und idyllisch im Grünen. Aufmerksame und hilfsbereite Vermieter. Der schöne Strand von Borgo Bonsignore nicht weit, aber auch ein guter Ausgangspunkt für die Tempel von Agrigento oder den Dom von Monreale. Sehr empfehlenswert. We are very happy when the guests are happy and satisfied, since for us the hospitality is sacrosant! Deposito cauzionale (100€) da versare all'arrivo a protezione danni. Damage deposit (100€) to pay at the arrival.